Valentine's Day is upon us: That oh so magical time of year synonymous with red roses, chocolates in a box, and teddy bears holding hearts. Forgot to make a plan? You are not alone and thankfully the romance experts at Farmhouse Inn are here to help. We have declared February as the Month of Romance (why limit to a single day?) 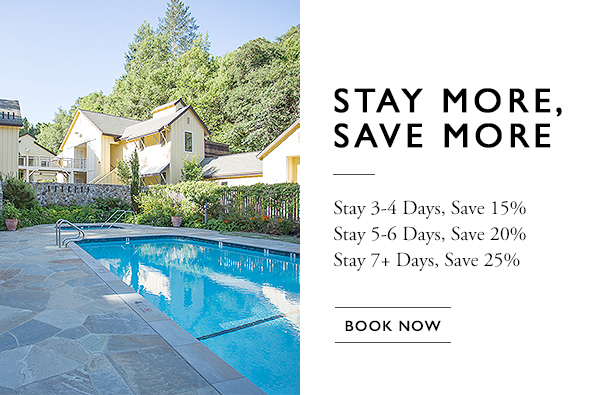 and the Sonoma wine country is perfect for a romantic getaway. Whether surprising your loved one with a last minute romantic interlude or adding on some delightful extras to an already-planned trip, we are here to make sure that your Valentine’s Day amounts to more than bad candy or even worse; bad champagne.